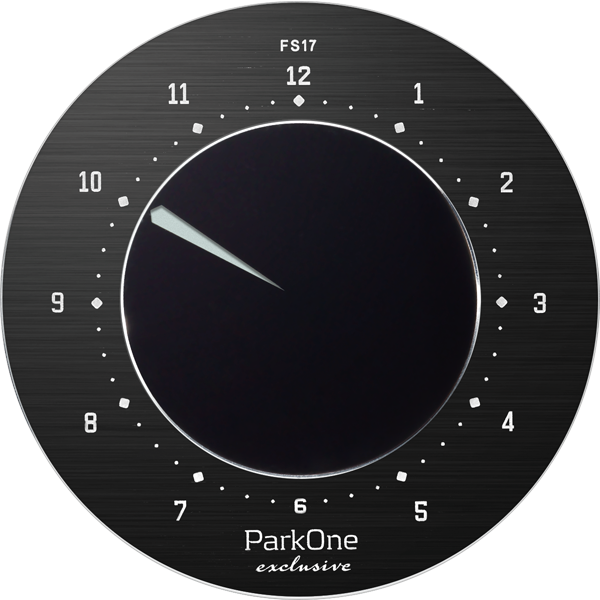 ParkOne exclusive is the epitome of uncompromising design and functionality – a masterpiece, which redefines how an electronic parking disc should look and work. It is no more than 12 mm thick. The disc blends almost seamlessly with your windscreen. 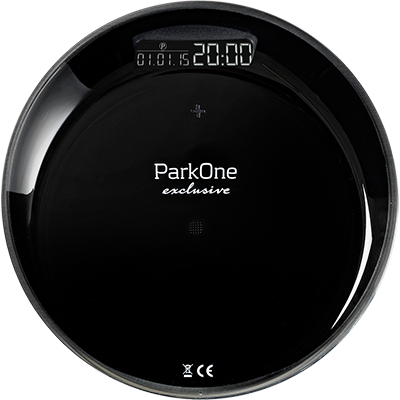 ParkOne exclusive is the slimmest and most elegant electronic parking disc yet to hit the market. The design is simple. There are no superfluous details. The front is made of brushed aluminium with engraved figures and smooth, bevelled edges. The back cover is polished acrylic fitted with two powerful Neo magnets, which make setting the parking disc pure child’s play – also when the unit is attached to the windscreen. ParkOne exclusive is designed and developed in Denmark. Like all the other Needit electronic parking discs, ParkOne exclusive is approved by the Danish transport authority. It has approval code FS17. The design of ParkOne exclusive embraces innovation, timelessness and uncompromising functionality. Specially treated metal, glass and acrylic are combined to create the ideal look. The style is simple and elegant with well-balanced lines and details. ParkOne exclusive is designed to satisfy even the most quality-conscious car owner and is specially designed to match exclusive vehicles. It is only 12 mm thick. 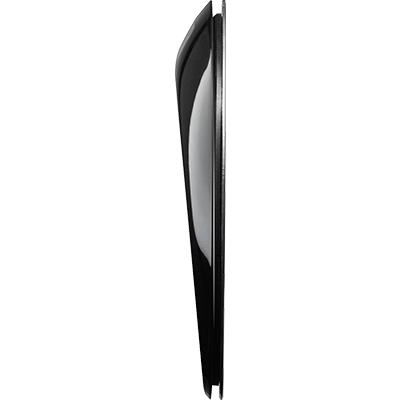 It has a brushed aluminium front with engraved figures and a glossy back cover. In a word: quality through and through! The elegant ParkOne exclusive sets a new standard. This is how an exclusive parking disc really should look! Once you have set and fitted ParkOne exclusive – which takes only five minutes – the parking disc takes care of the rest. You won’t have to lift a finger. 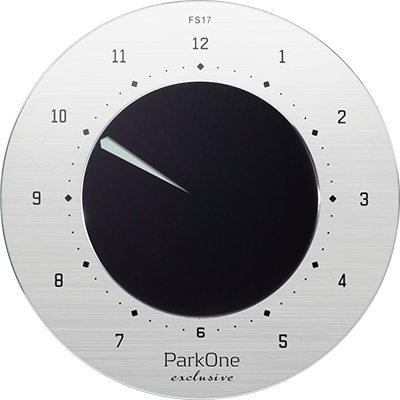 ParkOne exclusive displays the time you parked, and switches automatically between summer and winter time. The battery lasts for approximately 3 years. Using an advanced algorithm, it takes just 20 seconds for ParkOne exclusive to detect whether you are on the move or have parked the vehicle. In parking mode, the disc sets itself automatically to the next quarter of an hour after your time of arrival and displays this time until the vehicle moves again. As aesthetic design was our main priority, the disc is wafer-thin and the display on the inside of ParkOne exclusive is smaller than other Needit parking discs. The display is angled to make it easier to see and read the figures. There is only one large button on the back, which is used to advance the parking time. The back cover can be removed to access the batteries and set time and date. Reaction time (parking mode): appr. 20 sec. Termination of parking mode: appr. 20 sec. 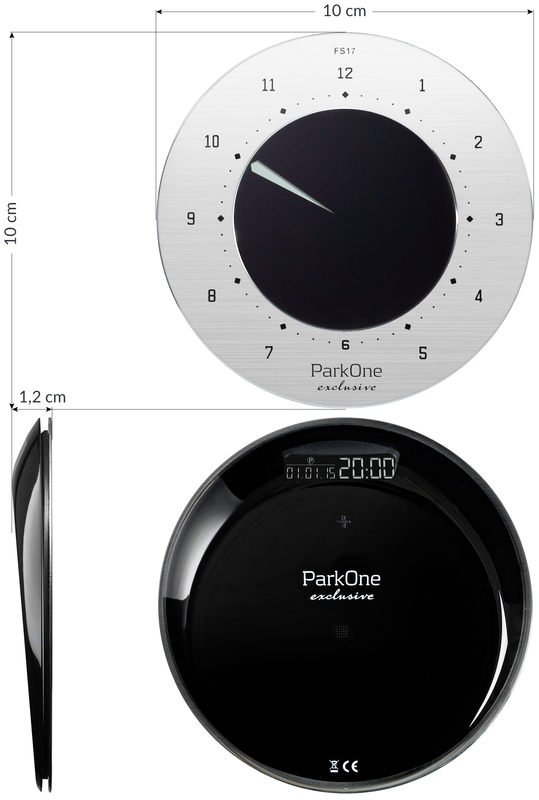 ParkOne exclusive is available in Black and Metal. The front is made of brushed aluminium. The back is glossy black with a white logo. We offer an extra set of 4 x 3M self-adhesive pads and a cleaning cloth (packed in a small bag). Cleaning cloth and self-adhesive pads are available from your ParkOne exclusive dealer. Follow the assembly/disassembly instructions in the user manual supplied with your ParkOne exclusive. Download the user manual here. ParkOne exclusive is approved by the Danish transport authority in accordance with Executive Order no. 327 (2003) on parking discs, and approval code FS17 is imprinted on the front. To gain Danish transport authority approval, a parking disc must be 100% reliable and the parking time on the disc impossible to manipulate. All components – including the battery – are tested at SGS Fimko, Finland’s leading supplier of testing and certification services.